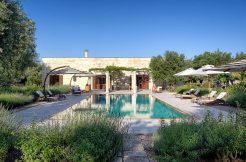 Otranto is a lovely little city in Lecce province and a short drive from the masseria plots. With a population of a little under six thousand, the city is set on the shores of a small busy port with regular ferries to Greece and some fabulous beaches. 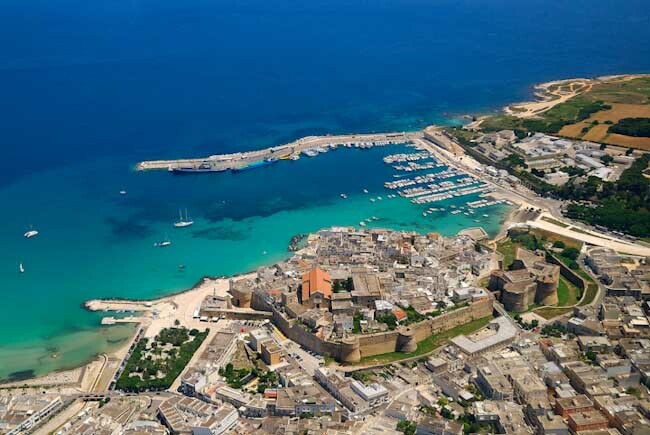 You’ll see many luxury yachts moored in the harbour as Otranto and the surrounding area is a popular destination for Italy’s jet set. Otranto is believed to have been founded by Greeks from Crete, and certainly Greek is spoken throughout the Salento peninsula. There is an atmospheric historic centre with colourful houses facing the sea and protected by the city’s fortifications. There are numerous souvenir and gift shops on the main street near the harbour, where you can also buy some of the famous award winning Salento red wine. 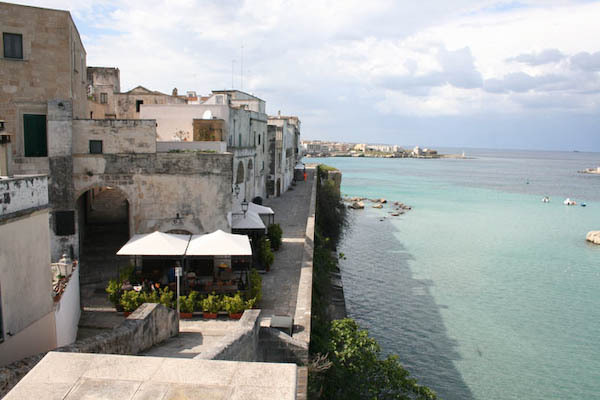 The modern part of Otranto is built along the coast and has amazing views. it goes without saying that you eat very well here, with seafood being a speciality, of course.